Colbert: Now you famously said, and I completely support this, the idea that some day, young people instead of having privacy, for the things that they put up on Facebook, being able to expunge that, since once it’s up there, it exists forever, that one day they’ll just erase their histories and change their names, and they’ll be scot free. Schmidt: It was a joke. Schmidt: And it just wasn’t very good. 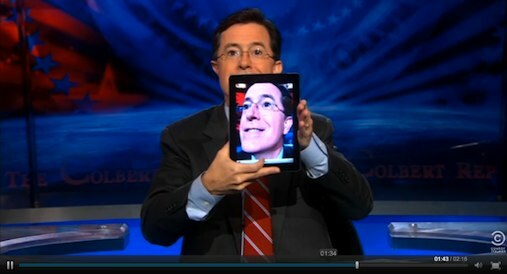 Colbert: I guess that’s too hip for the room. Schmidt: It just wasn’t a very good joke.